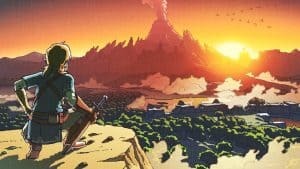 New Breath of the Wild Artwork From Nintendo | Nerd Much? As a happy New Years gift, Nintendo has given fans a few pieces of artwork to tide us over until it finally releases the entire game. The artwork includes three illustrations, the first being of Link from Breath of the Wild crouched on a cliff’s edge and watching a beautiful orange sunrise over Hyrule with Death Mountain in the distance, and stone ruins in the valley below. The art looks a lot like The Legend of Zelda II, in my opinion, and is a pleasant call back to an otherwise not well-liked game. The second is what looks like concept art for one the variations on the Guardian enemy. 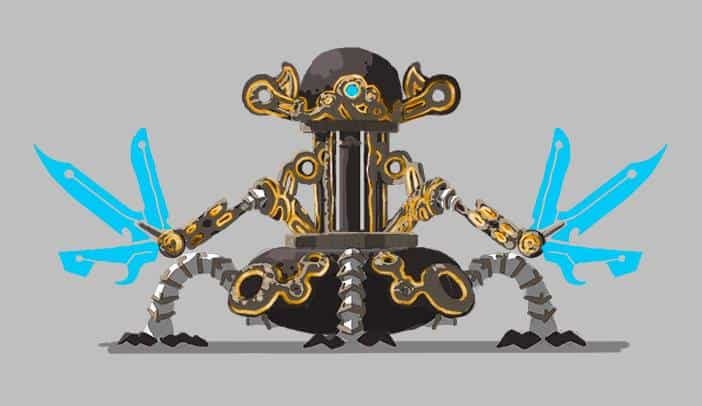 This one’s design is less of grey stone and more black and gold with robotic arms that carry blue swords. The multiple swords and robotic elements is certainly reminiscent of the Koloktos enemy in Skyward Sword, though the similarities stop there. Do you think any of these are poster-worthy before the game itself comes out? Let us know in the comments below! 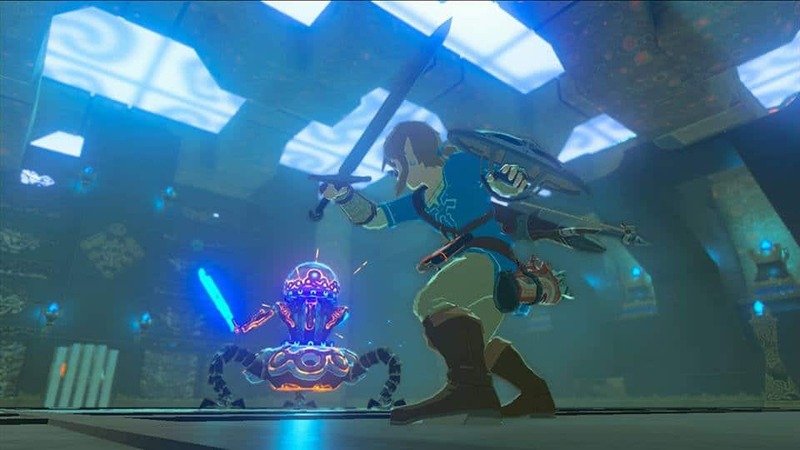 If you just can’t wait for the upcoming Zelda game, check out our roundup of Breath of the Wild merchandise you can buy right now. Stay tuned for the latest in gaming news at Nerd Much?